Keep an eye out for future giveaways at LittleBigHarvest.com! "Oh ugh, what is that smell?" As people in my city have turned on their taps during the past week, the sentiment has been repeated over and over. With huge piles of snow all melting at once around us, the extra water has altered our city's rivers, giving our tap water an off-smell and off-taste. Kind of like pool water. While it's gross, the city assures us it's safe to drink. Oh, how I wish I had an awesome filter right about now. Kind of like a Berkey! Which I am presenting with my blogging friends in this very timely giveaway! Two giveaways on the blog within about a week?! Crazy! I love that I get to help bring these fun giveaways to you! If you missed last week's giveaway from Little House on the Prairie®, click here. I've seen several opportunities from different blogs to win a Berkey water filter over the past year or so, and I've always entered to win. This is one prize I would be over the moon to have. When researching water filters this one always seems to be at the top of the ratings. Snow melt issues aside, I normally freely drink the tap water at my house. However, I'm hearing more and more about the additives that I'm not sure I want in my body. The Berkey gets it all out, leaving you with pure, clean water. Along with access to crystal-pure drinking water, I'd also love to have a Berkey so I would always have perfect filtered water for my fermented foods. As it is now, I always have to get purified water or boil my tap water, since chlorine is one of the biggest detriments to successfully fermenting foods. Whether you've been dreaming of a Berkey for awhile like me, or if you are just starting the research and finding out that it's an outstanding product, here is a chance to win one. A HUGE thanks goes out to Pantry Paratus, the sponsor of this giveaway. 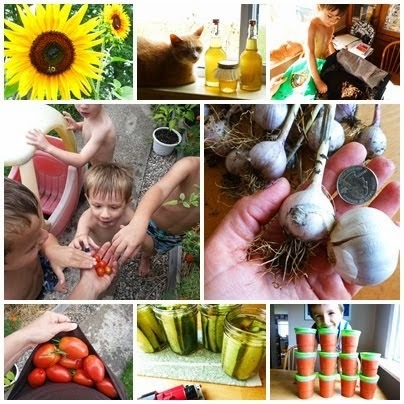 A fellow blogger at Homestead Bloggers Network, she has Berkeys in her online store along with tons of other great homesteading items! Use the Rafflecopter widget below. Sign in with your Facebook account or your email and follow the instructions on the widget! It's that easy. This giveaway is open to US residents only and entrants must be 18 years or older to qualify. Giveaway runs from March 18th-24th. Winner will be chosen randomly, notified by email and given 24 hours to respond before another name is drawn. Be sure to enter, Judy! Wouldn't it be wonderful to win this?